Weekends are the hardest. During the week we keep ourselves busy with work and when I go to work, I see her but come the weekend, I fight the sadness. When our living room is unusually quiet, when I trip over little shoes, and when I walk up the stairs to see an empty bed the deep sadness sets in. This morning I sit with the Lord and I have Bethel’s new album playing in the background and I find myself putting one song on repeat. They lyrics seem to be coming from deep inside of me. You already know this but come do whatever it is you want to. As I wrote my last blog, I wrote that this process is not about Leah…it’s about me. I didn’t really know then what He was specifically He was trying to do but He is beginning to reveal. I have known Jesus since I was 6 years old. I have always desired to have a real relationship with Him, not one of my family’s, not one that worked for me when I needed it, but He has been so gracious to me by planting a desire in me to want to really know this Man. I have seen so much. Since a little girl, I have walked with my family through the grossness of the church, I have seen death, I have seen miracles, I have walked deep in depression, I have walked in spiritual highs, I have moved across the world because that is where He led me and I tend to think I have arrived. But here where my heart is so confused and hurting, I see that I haven’t and that is what He is doing. When the question was asked of Josh and I, “What do you want to say to Leah if she can’t come to your home?” The question stung. We both just sat there not really wanting to let that reality to set in. It is like when you know you are dying and you have the task of trying to leave words behind for those you love so much. As we both answered, the tears flowed and my hands shook. But in that moment, He reminded me of His purpose. That question makes me look at my hands. Are they clenched tightly around what I want? What I think will make everything better for her and for us? Or are my hands still open? But here in this mess- do I really believe? Do I really want Him more than I want a daughter? He is better. I believe this. But have I known? I like to go to His table and feast but I think I have been taking my paper plate to His table. I have been drinking the boxed wine. I want fast food. I want Him, I desire Him, but when it comes to forsaking the desire to have Leah as my daughter, do I want Him more? If there is one thing that I want more than anything is to know that He is better than all of this. Better than marriage. Better than children. Better than life. I have acknowledged that this process might not be over until He has accomplished what He wants to in me. I have tried to hurry it. I have tried to manipulate my relationship with Him in order to get. But here is this moment my heart is definitely knee-deep out in a place I have never been before. And I can’t help but be lured because I have never felt Him like this. So, if I have to linger here, I am daring to say…Lord keep me here. If fighting for a daughter leads us to the table, where I throw away my paper plates, where I drink of the finest wine, and I feast on the finest china then let me not clench my hands tightly around what I want. I want to know that nothing compares to you and that you truly are my one desire. Let this cup not pass until I have drank deeply of what you have for me, for our marriage, for our girl, and our ministry. If this is deeper, let me sink willingly. I thought I could do this better.. I remember when she came. I remember my heart stopping seeing the condition she was in. Three weeks old and barely hanging on. She was too weak and fragile to stay out in our Babies Home, which is an hour away from town, so our nurse and I brought her back to Jinja where we could watch her around the clock and make sure she was getting the best treatment. On the way back to town we knew she needed a new little name. We all threw out ideas. Here in Uganda when someone from the Muslim faith becomes a believer they take on a Biblical name. Everyone in the car liked the name Leah. Here though they pronounce it like “leia” from Star Wars. I thought it fit this little tiny body. So, we called her Leah. I remember sleepless nights as her stomach was getting used to formula and a regular schedule and of course the rounds of meds. I remember crying at night out of a deep pain of not understanding, out of not sleeping, and out of this momma’s heart that was beginning to explode out of my chest. There was this moment when she became more than just a baby in our home that I was responsible for. I love all of our children, every single one of them, and there have been many that I have cried with, sat in the hospital with and taken under my own care for time periods. And my love for them runs deep and thick. But there was this moment with her when I knew this love was different. We quickly saw life come into Leah and from the very beginning her eyes were full of joy. Unless she was hungry, sleepy, or in pain she didn’t cry. Her huge eyes would just be trying to take it all in. We were taking another child to the hospital and Leah had been warm that day but not fussy or crying so I wasn’t too concerned but since we were already at the hospital, I just had her checked for malaria. She tested positive. 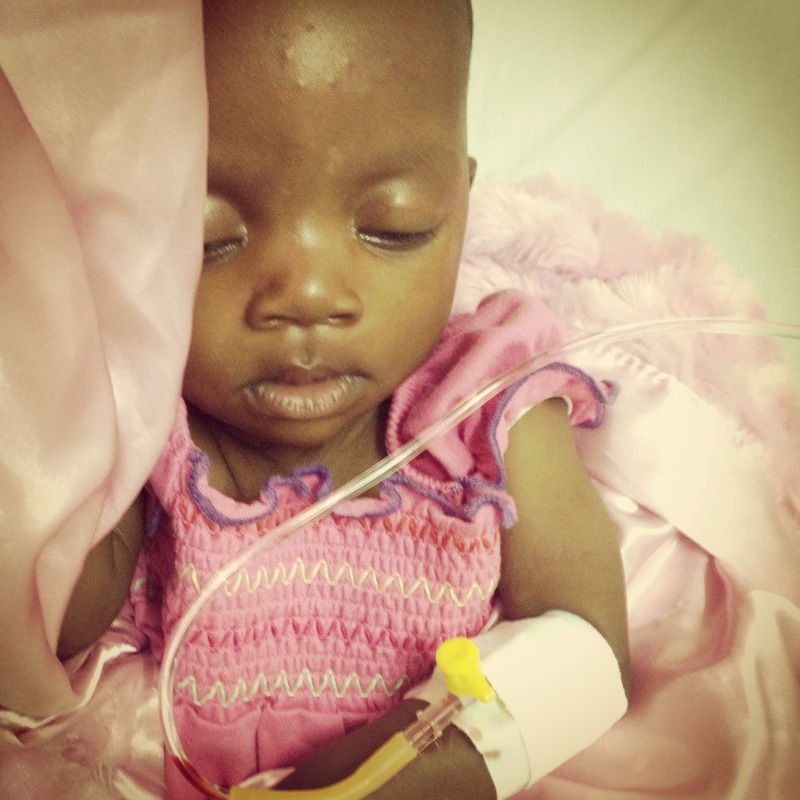 And not just a little malaria but there was too much in her little already weak body. They had to admit her into the hospital. There was this moment when the fever has spiked and her little eyes rolled in the back of her head. They couldn’t find a vein to get the iv going and in that moment, I knew. She was mine. I was the one that was called to fight for her. During this time Josh and I were just beginning to date. We had only been on two dates and here I was being a full-time momma to this little sick child. Oh how gracious was Josh. He had a bunch of people here visiting and I’ll never forget him bringing all of them to the hospital to check on us. I’ll spare all the little stories in between but this little girl was one of the main stories that God used to reveal to each of our hearts separately that the other was the one that we were to spend the rest of our lives with. When she was about 3 months old and had become healthy enough to go stay full-time at the home it was up to me to have to take her back. My heart was in a million pieces as I drove that long hour to take her to the babies home. Just writing this now takes me back to that day and I can even still the same pain come back. And that is what started this very long journey. After Josh and I knew that we were to going to say yes to doing our lives together, she was one of the very first topics we covered. We both knew the Lord had not brought her into our lives when He did if it wasn’t for a purpose. We made the decision to do what Jesus has asked and commanded of us to put our marriage first and build a strong foundation. So we poured ourselves into each other, into enjoying our engagement, planning our wedding and frankly getting to know each other. But we would have these amazing days, moments, and treasured time with the little girl who had stolen our heart. We were thankful that she was in our Babies Home where we could see her and know that she was being loved on. We did our best to take it one season at a time but this momma…I was so ready to be a family. Today is January 12, 2015 and in three months, Leah will be two years old. We have been fighting to bring her into our hom e to foster her for the last four months. Josh and I knew when we began this process it wouldn’t be easy. 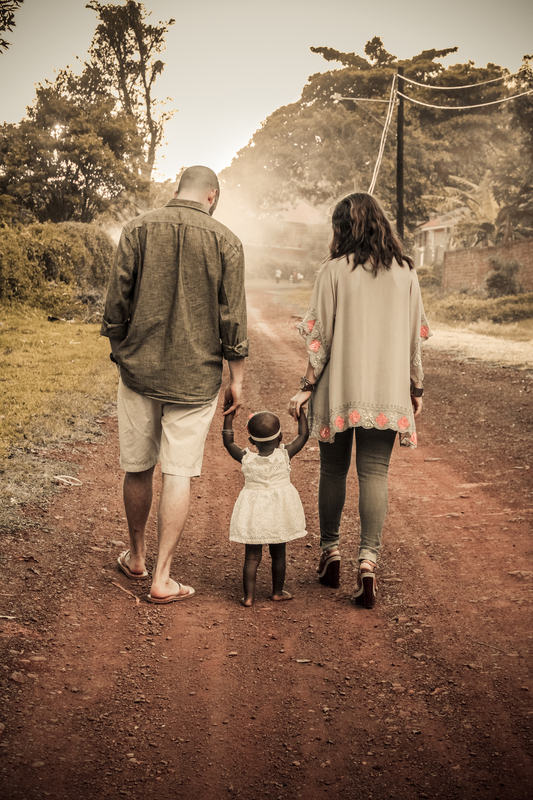 I have seen many adoptions and I knew that you are always asking to see characteristics of your Father that you would not see if you didn’t walk through adoption. I always thought that when it came time for our “hard” that I could do it with praise on my lips constantly. That I would cry yes, but I would wake up every morning asking for more of Him and that I would be this picture of someone who could walk through the rains but not fearing the storm and would walk confidently through it. That is what I truly desired my journey to look like. But oh how my lips have not always praised Him. Especially this morning. We have been so close many times now to bring her home for good and then as my heart gets excited and anxious, we find out we have yet another hurdle to jump through. 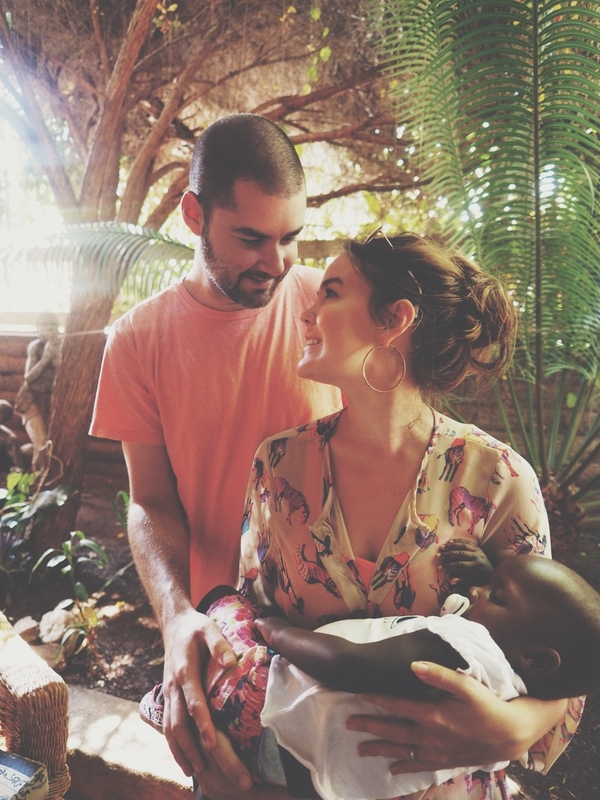 Josh and I know from living here in Uganda the path to adoption can be very hard in many ways. We knew that God had asked us to, no matter what, we would do the process correctly and abide by the laws of the land and put His name forth first. If that meant we wait years, that isnot what we would do. This morning my heart knows that I was so prideful in secretly believing that. My heart was so entitled to my God who owes me nothing. He owes me nothing. Just because we have walked uprightly, as best as we know how, He does not have to give me Leah. And He would still be good and He would still not be withholding from me. We are not owed. We owe Him. So I confess. I am angry. Angry that for almost two years I have been fighting for my daughter. We have waited and waited. Today I wait still. And I sit back and watch the inconsistent ways of this country where not one rule applies to everyone and I want justice. There is this little girl who knows us as momma and daddy, yet we only come and go. I have her room ready, her closet is hung with clothes, there is an empty car seat in my car. When our child is not suffering or in harm’s way but sitting in a babies home being fed that no one is in a hurry to bring her into our home. I’m angry because it seems no one is fighting for us. It seems He is not doing anything. But this I know…He is doing something. He is revealing my heart to me. He is exposing places in my heart that need great redemption and grace…and forgiveness. Do I even know contentment? If I should suffer, go unclothed and have nothing would my heart still prize His love, know it, and be constrained by it, though I be denied all blessings? It is His mercy to allow me to walk through afflictions and try me with wants, deep wants of a daughter, one who calls me momma…for it is by this trial I see my sins. I do desire severance from them. Our prayer is that we will willingly accept whatever He decides to give us. Leah in our home or Leah that we love from a distance. If we can feel sin as the greatest evil and be delivered from it with gratitude, that is the highest testimony to His love. I have so far to go. And a part of me is fearful to even admit that because then I think…will she not come home until He has accomplished this in me? I say this asking to believe it in my deepest soul. “yes, Lord accomplish in me”. Though now I have His grace, I know shortly we will all have it perfectly and we will all be fully reconciled, and alone sufficient, efficient, loving me completely with sin abolished. O Lord, hasten that day. May we wait on You as we wait to see where you take our family. 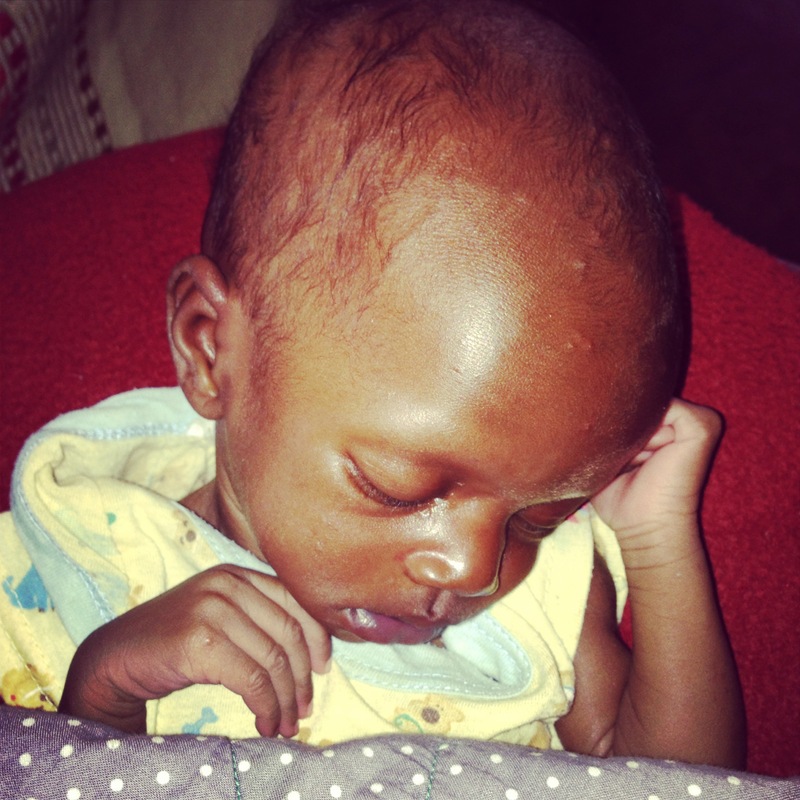 If you feel led to bless Dacia, you can support her and Josh in their work in Uganda by visiting cmcmissions.org/donate. After creating an account, simply choose their name in the drop-down menu and setup your donation. Every dollar helps keep Dacia and Josh on the field and pursuing their calling.